A pair of out-of-work musicians (Bob Hope and Bing Crosby) stow away on a cruise ship to Rio, where they meet a wealthy young woman (Dorothy Lamour) who’s being hypnotized by her evil caretaker (Gale Sondergard). 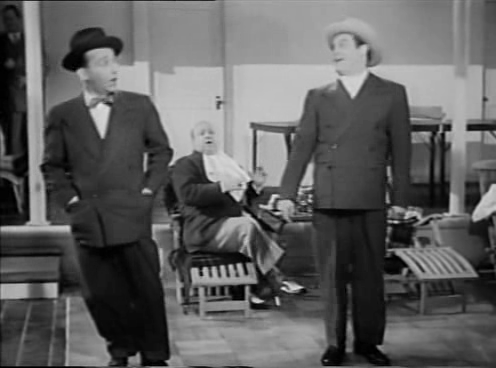 This fifth entry in the enduringly popular Road to… film series is also its longest, and shows signs of the comedic formula beginning to wear thin. 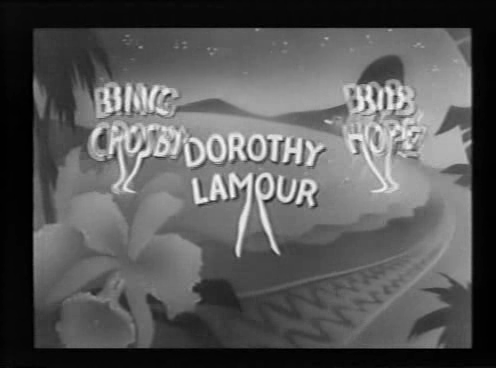 While Hope and Crosby are still in fine form together, and Lamour is as lovely as ever, a number of the running gags — including an extended sequence involving Hope, Crosby, and Lamour teaming up with a trio of non-English-speaking singers, played by the Wiere brothers — fall somewhat flat. Despite its status as one of the “least” of the series, however, there’s still plenty of enjoyable shtick here for fans to appreciate. 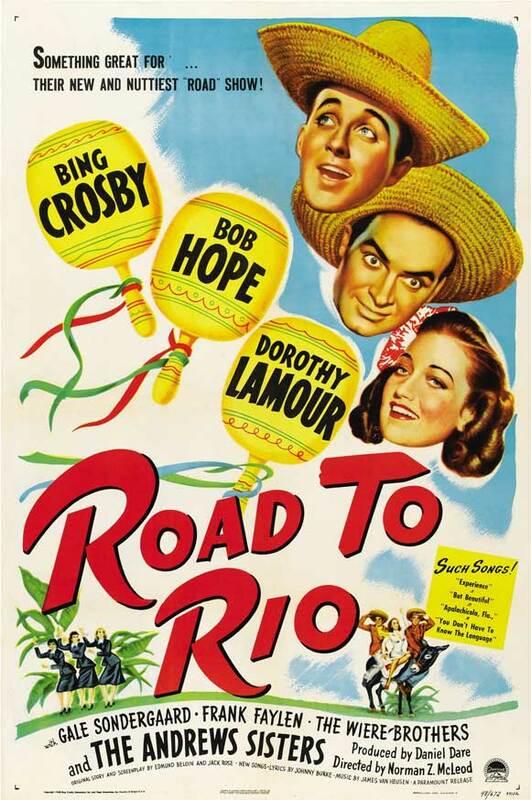 Followed in 1952 by Road to Bali — the only “Road” film (inexplicably) not listed in Peary’s book — and then in 1962 by the series’ humorously off-beat final entry, The Road to Hong Kong. No, though it’s an enjoyable enough entry in the series, and certainly must-see for diehard Road to… fans. Listed as a Cult Movie in the back of Peary’s book. It’s too bad more effort wasn’t made to make this entry better than it is. And the songs (not a memorable one in the batch) don’t help. Particular harm is done when the wonderful Andrews Sisters are given a number that’s simply not worthy of them.